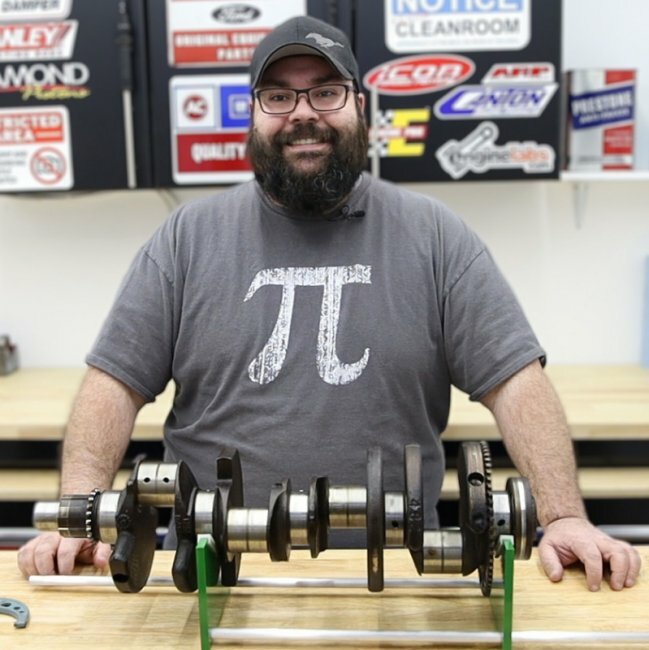 Here at EngineLabs, we strive to bring you the latest, greatest, coolest, and most interesting engine-related subject matter we possibly can. However, sometimes, that means that the basics get overlooked, because they aren’t as flashy or dynamic. This video from Pete’s Garage reminded us that sometimes what is basic to one person, can be a new idea to another. Moving and storing engines seems like a simple task, but when the time comes to actually do it, we’ve seen a lot of people doing it haphazardly. I can recall one time seeing someone use a seatbelt to lift an engine. Now, before you get up in arms about how seatbelts “make for fine straps!” – there is a caveat – the lift bolt was put THROUGH the webbing. A hole was punched and the bolt placed through. I about fainted. Lift plates can make life quite a bit easier when lifting engines without a load leveler. Besides being convenient, they have coarse balance adjustment built-in via the three lift points. In the video, Pete goes through the proper use of a lift plate. 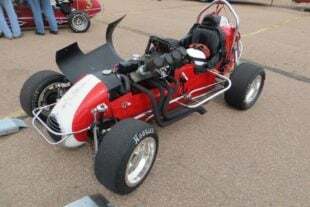 Now, we know there is debate on the internet about the use of lift plates and lifting an engine by only the carburetor studs, but there are three things to consider. A: people on the internet will argue about anything; B: people have been lifting engines by the carb mounting hardware for years, and C: four fully-threaded 5/16-18 studs are more than capable of supporting an engine’s weight from the thread pullout calculations we’ve seen. However, Pete does point out that with studs and a lift plate that is thinner than the carb mounting flange, you’ll need to use spacers so that the engine isn’t hanging loose by the carb studs. He then explains how to balance the engine on the hoist, either by using the three holes at the top of the lift plate, or better yet, by using a load leveler. The latter has the ability to fine-tune the engine’s angle while suspended from a hoist, which can help immensely when installing the engine. Finally, he talks about engine stands, or more specifically, engine cradles. I know of people who use old tires to store engines, and not just for old, busted engines, either. While it works in a pinch, old tires definitely aren’t the most stable or convenient way to store an engine. While proper engine cradles may seem basic to some of you who have been around for a while, I remember when I first learned that engine cradles were commercially available. From the time I first learned of these awesome things, to the time I had one at my doorstep was about a week (because it was before Amazon Prime). Something Pete briefly touches on, but is worthy of mention, is casters on the cradle. If you’re in a limited space, and will have an engine sitting around–whether just a block or a complete engine–those casters make life easy when you need to move all that weight to get to something that’s behind it (and you know, as soon as you block something in your shop, you need to get there 10 times the next day). So while these things aren’t necessarily absolutely required to pull and store an engine, they do make life easier, and safer. Remember, “work smarter, not harder” and safety first. Engine cradles are an amazing alternative to setting the engine on an old tire. Besides being far more stable, you can get them with casters, so that you can move the engine around the shop, while minimizing the footprint. A huge plus for those of you in space-limited situations.